Director Krish himself has written the script for this epic historical action film, which has been produced by Saibabu Jagarlamudi and Y Rajeev Reddy under the banner First Frame Entertainment. The film is based on the life of 2nd century AD Satavahana ruler Gautamiputra Satakarni. The movie features Balakrishna, Shriya Saran and Hema Malini in the main lead roles. Gautamiputra Satakarni movie is an epic Historical action and entertainer film, which tells the true life story of the 2nd century Satavahana king Satakarni who is the son of Gautami. Gautamiputra Satakarni is the most noted ruler of Satavahana Dynasty during the times of rule of Kalinga Dynasty. Gautamiputra Satakarni is a movie that follows the philosophy of War and peace. Who should we go to war with and Who should we maintain peace with? The film shows the story of a ruthless warrior giving his everything to save the Satavahana empire from falling. Grand visuals, highly impressive dialogues and BGM are the positives of the short and crisp first half and second half. On the flip side climax war episode is extraordinary. Overall it’s a decent film.Wars outweigh the drama or is there much more to this Nandamuri Balakrishna’s landmark 100th movie. The costumes used, armory chose and all the various props used for the war look realistic and prove that a lot of detailing has gone into the film. Editing is slick but the war scenes could have been trimmed a bit. Screenplay by Krish is pretty neat. The way he has added crunch scenes like the importance of mother and the love for Telugu people in the narrative showcases his talent. Nandamuri Balakrishna: He has played the title role in Gautamiputra Satakarni and has delivered a sterling performance, which is the main highlight of the film. Shriya Saran: She looks gorgeous as the princess and emotes supremely well throughout the film. Hema Malini, Shiva Rajkumar and Kabir Bedi have also played important roles and their performances are also the assets of the movie. Gautamiputra Satakarni has been made with a limited budget in a short span of time. But the director has managed to get rich production values. The brilliant choreography of war and action scenes, background score, picturisation and punch dialogues are the attractions on the technical front. Considering its production cost and time, its VFX works are good. 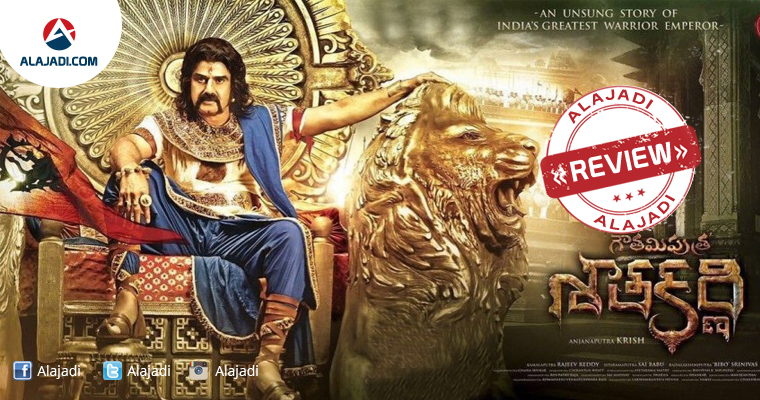 Gautamiputra Satakarni Audio Release Date is Fixed ! GPSK trailer and audio release dates confirmed?